Small and Medium Businesses in Mexico are looking for knowledge on how to take more advantage of the digital world. 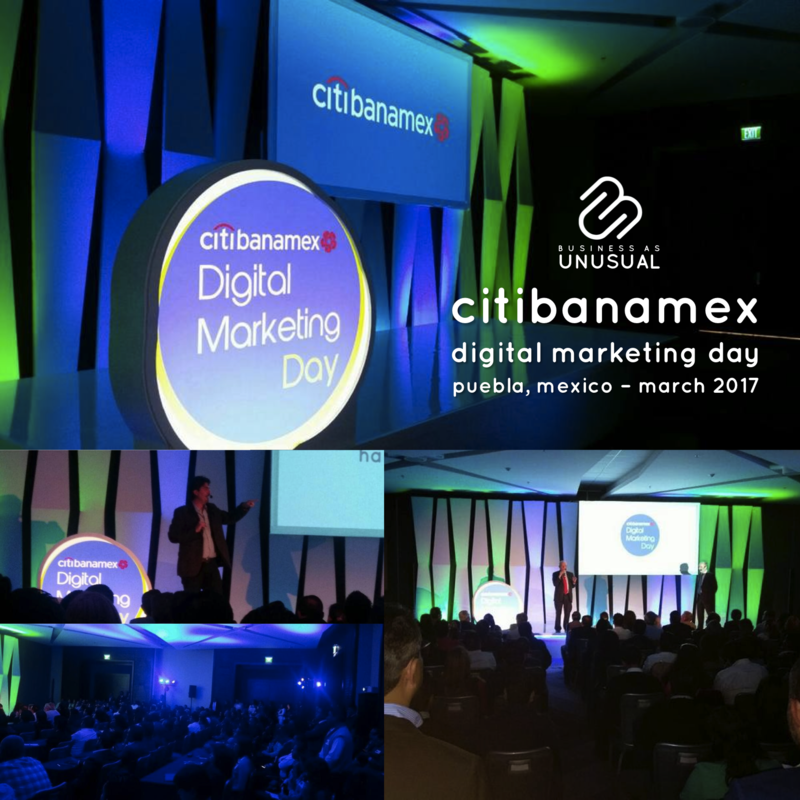 Citibanamex is helping them get to the next level: Decoding Digital Marketing. A lecture about how the world has changed since Internet, how have we adapted to it very successfully in our personal lives, and what are we missing to do the same in our businesses. After that, SMBs were able to sit in round tables with Google, Facebook, Twitter and LinkedIn to discuss strategies and the potential of those platforms for their business.